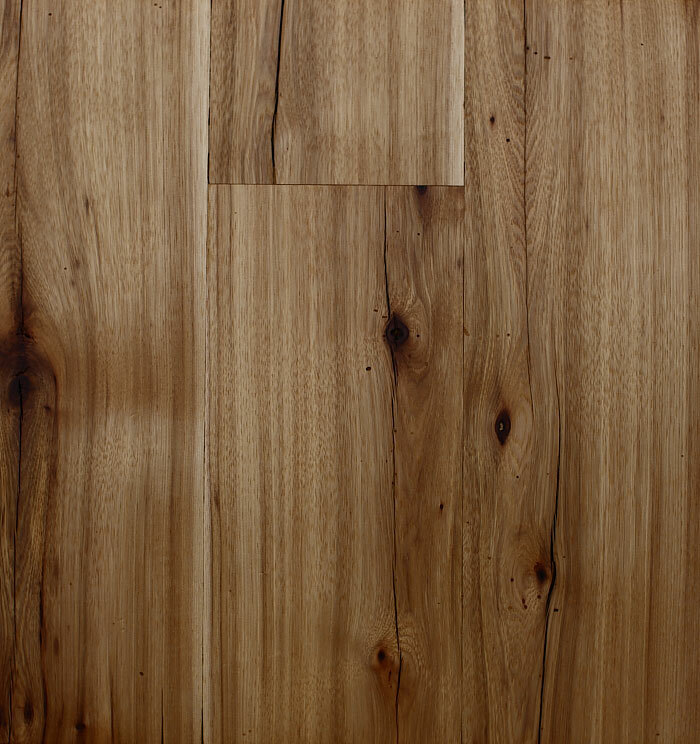 Up to 5 separate Hickory varieties make up our reclaimed hickory line. Characterized by a deep brown heartwood and creamy sap wood with a soft graining structure. This is our hardest wood offered. A very organic and variable floor, the heart wood softly floats throughout the boards creating a bold yet comfortable texture. Surprisingly a soft and workable timber when freshly cut made this tree a favorite for hand hewning, and as a result, we find most of our Hickory in barns throughout Tennessee, Kentucky, and Ohio. Always virgin growth timbers with slow growth characteristics that distinguish this material from the fresh market Hickory. Our hardest and most durable material, this is our stiletto proof floor.